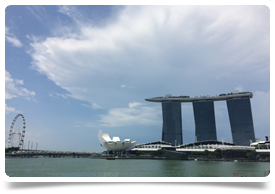 Our Senior Recruitment Consultant, Amanda Gregory, has just returned to the office after a trip to meet clients, catch up with candidates and get a feel for what it’s like to live and work in Singapore. Here she offers her impressions on the place that residents find so easy to live in. 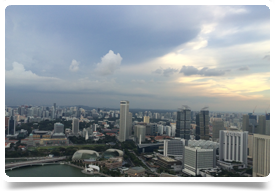 For the past two and half years I have been eating, living, and sleeping all things Singapore! My adventure to the city state did not disappoint and certainly lived up to its reputation of being clean, friendly and safe. 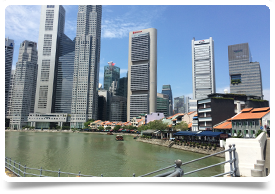 One of the first things I noticed is how easy it is to get around Singapore. 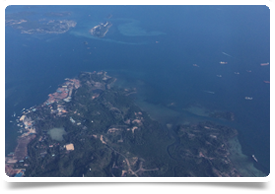 Having travelled extensively around South East Asia and experiencing the bustle of Bangkok and Kuala Lumpar, Singapore is a breeze. Taxis are not expensive and are in abundance (unless you choose to travel during the shift changeover in mid-afternoon, you might have to wait 10 minutes longer!). You do absolutely feel a sense of safety too, for example, taking a taxi home late at night as a women would not be something to think twice about. This is something that the locals are very proud of. Another point of note is the food, eating is a national past-time, there are literally eateries on every street! 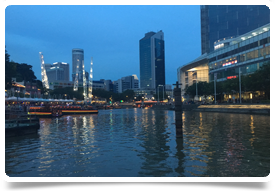 I would highly recommend Clark Quay where you can choose from Thai, Mexican, Spanish, Chinese, Indian, and… the list goes on! Service is good, and happy hour is certainly the best time to enjoy a cold beer as alcohol is something that would be in the price range of a high end London bar otherwise. I got a real sense of the efficiency of the healthcare system when I visited the hospitals. Certainly there is a very high standard maintained in the buildings themselves, with touches like ‘a window for every patient’, lots of greenery and excellent shopping and eating facilities within the hospital grounds. The comforts of home are never far away and we enjoyed a Starbucks hot chocolate during our Changi hospital visit. The comment I hear most from ex-pats is that ‘it is very easy to live here’. 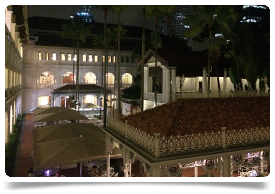 Many have been settled in Singapore for years and years and show no signs of leaving. Their children are being educated in world class schools, they are enjoying a good work/life balance and spend much of their family time outside of the home at the beach, condominium swimming pool, travelling to other parts of South East Asia or making the most of the wonderful food culture and eating out. 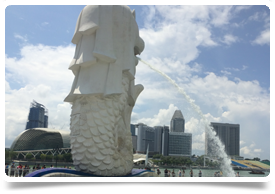 In summary, Singapore is a gentle ease into South East Asia and comes with all the perks of living in a warmer climate but with an English language base and lots of familiar European traits. A stopover destination well worth stopping in!